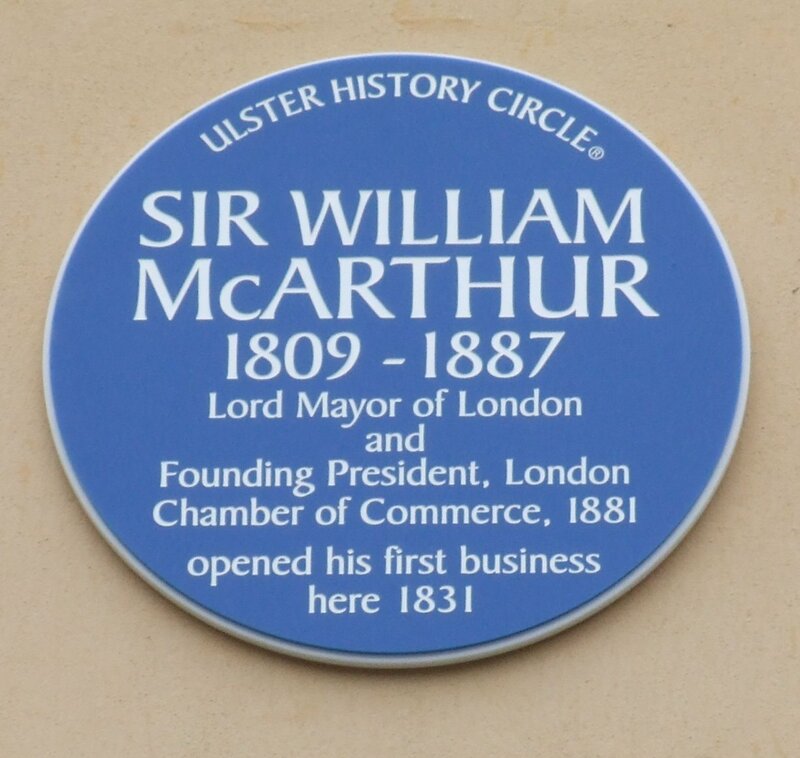 William McArthur was born at Malin, in the barony of Inishowen, Co. Donegal, on 6 July 1809. His father was a poor Scots-Irish farmer, and itinerant Wesleyan preacher. 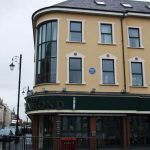 William attended school at Stranorlar in Donegal, and Newtownstewart in Tyrone, and aged 12 he was apprenticed in 1821 to Hugh Copeland, a woollen draper in Enniskillen, then moved in 1825 to Lurgan, where for £45 per annum he kept accounts and travelled for William Johnstone, a manufacturing tobacconist and spirit merchant. 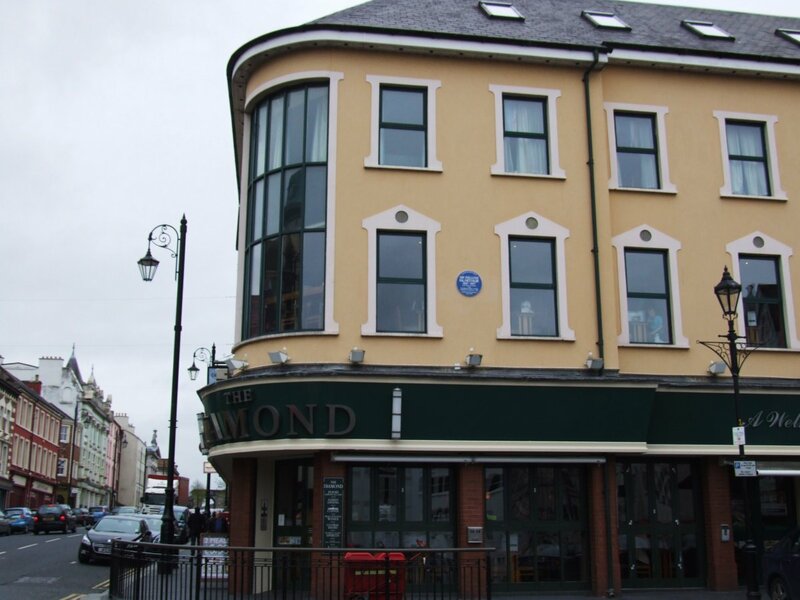 In 1831, with Joseph Cather, he started a woollen export business in the Diamond in Londonderry on his own account. When Cather emigrated in 1835, the partnership was dissolved, and McArthur continued the business alone. In 1841 he became a member of the town council, and that same year his younger brother Alexander went to Australia for his health. William sent his firm’s woollen goods to his brother, who began to operate as an import-export merchant in Sydney. The gold rush increased demand for woollens; Alexander opened branches in various parts of Australia, and the McArthur brothers became wealthy. In 1857 William transferred the headquarters of the firm to London, and settled in Brixton Hill. By the mid-1860s the brothers had extended their activities into banking and insurance. In July 1865 McArthur unsuccessfully contested the parliamentary seat of Pontefract in the Liberal interest. In 1868 he was elected junior member for Lambeth, and continued to represent that constituency until the dissolution in 1885. 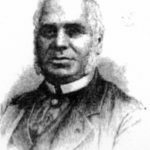 His staunch Methodism informed his politics, and he led the movement in favour of the annexation of Fiji, where there was a strong Methodist missionary presence, meeting strenuous opposition from Gladstone, but achieving his aim in 1874 through Disraeli. In 1878-9 he toured the world, being warmly welcomed in Australia. Apart from colonial affairs, McArthur mainly devoted his attention in the House of Commons to educational or Irish questions. In the 1885 election he stood for Newington West and was defeated. In 1886 he became a liberal unionist. William McArthur became Sheriff of London in 1867, an alderman in 1872 and Lord Mayor in 1880. Throughout his mayoralty he showed an active interest in colonial matters and in religious enterprises, setting a pious tone by forbidding wine, card playing and dancing at the Mansion House. 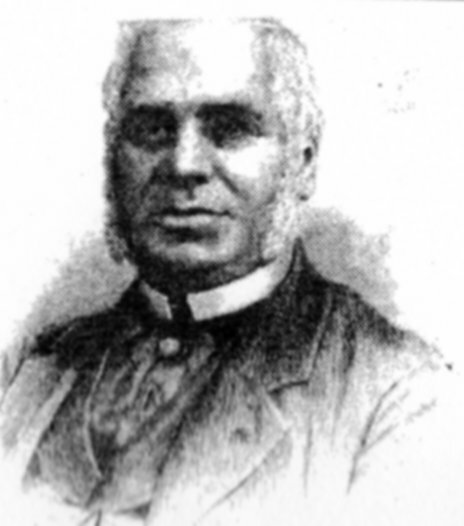 He was one of the founders of the London Chamber of Commerce in 1881, and its first President. On 17 November 1882 he was made KCMG. 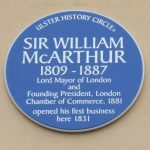 He was always generous towards Methodist causes, including contributing to the establishment of Methodist College in Belfast, and laying its foundation stone in 1865. McArthur died from heart failure on the London Underground on 16 November 1887 when travelling to a City board meeting. He left a fortune of almost half a million pounds, bequeathing over £150,000 to Methodist charities. He is buried in Norwood cemetery.